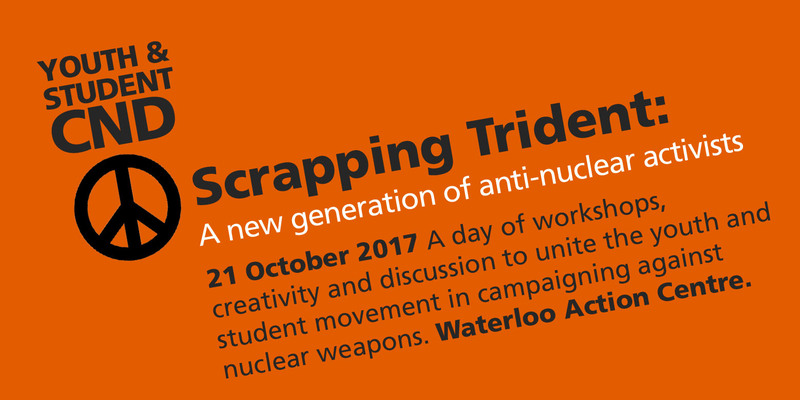 YSCND are holding a day of workshops, creativity and discussion to unite the youth and student movement in campaigning against nuclear weapons. We’re collaborating with anti-Trident groups to share ideas and plan future actions! YSCND are saying “No to War! 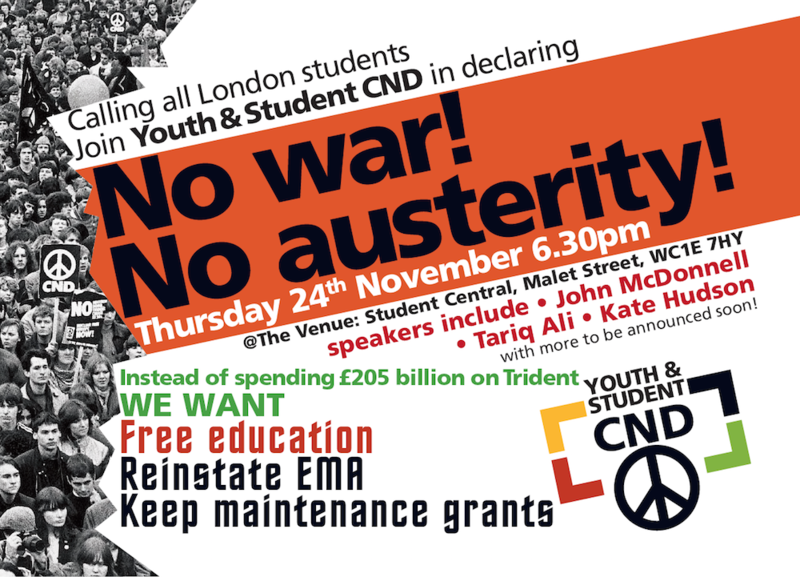 No to Austerity!” on Thursday 24th November 2016. Join us in Student Central, Malet Street, WC1E 7HY at 6.30pm. We are being joined by John McDonnell, Tariq Ali, Kate Hudson and Larry Sanders. For more information, please see our Facebook event. Please click attending and share with your friends. YSCND London Students Launch Party: Beats Not Bombs! 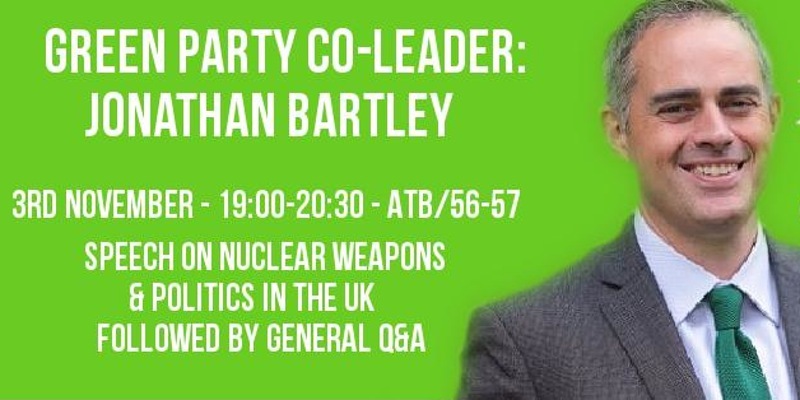 University of Yorkshire CND (along with Yorkshire CND and University of Yorkshire Green Party Society) held an event with Jonathan Bartley.